These free Christmas piano sheet music are for the next learning level of playing the piano. We get hundreds of posts on our website from people who want to play melodies in the right hand while playing the accompaniment in the left hand, and find it too difficult to combine both hands. We also get many posts from people who can read the right hand notes (the treble clef) but find the notes of the left hand (the bass clef) a little difficult to read. The second level is the best solution for you. 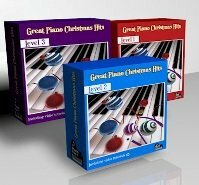 We have arranged the Christmas songs in this level in a unique method letting you enjoy the harmony of the sound of both hands playing. 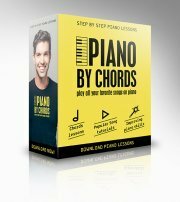 Click here if you haven't signed to Piano Playground, our free E-zine. Make sure you do that in order to get the USERNAME and PASSWORD for the Free Christmas piano tabs I provide here under.